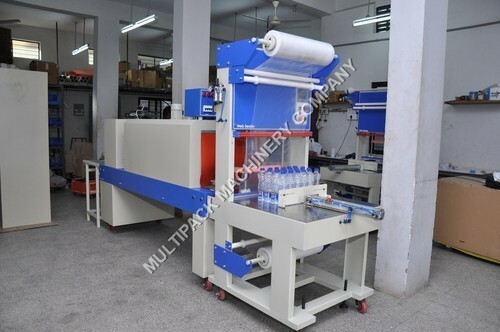 WITH THE ESTEEM SUPPORT OF OUR EXPERTS WE OFFER A WIDE RANGE OF INDUSTRIAL WRAPPING MACHINE SUCH AS WRAPPING MACHINE, bottle wrapping machine, carton wrapping machine, LUGGAGE WRAPPING MACHINE, HORIZONTAL STRETCH WRAPPING AND MANY MORE. OUR RANGES OF PRODUCTS ARE AVAILABLE IN VARIOUS CAPACITIES AND SHAPES TO SUIT THE SPECIFIC REQUIREMENTS OF THE CUSTOMERS. THESE MACHINES ARE WIDELY USED AT DIFFERENT TYPES OF INDUSTRIES LIKE FOOD, PHARMACEUTICALS, GARMENTS, CHEMICALS AND MANY MORE. 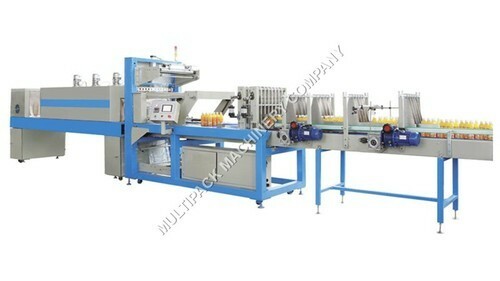 THESE ARE SPECIAL TYPE OF PACKAGING MACHINES USED TO SEAL AND PACK THE HOUSEHOLD AND FACTORY MATERIALS. As an acclaimed entity, we are engaged in offering a qualitative assortment of Mobile Shrink Wrapping Machine. In line with clients' diverse requirements, we offer the entire range in various configurations and technical specifications. We manufacture the offered product utilizing well-tested components as per the industry defined guidelines. Furthermore, the entire machine is passed through various tests ensuring its efficient functionality. With our hard-earned experience in this domain, we are offering a precision-engineered collection of Water Pet Bottle Shrink Wrapping Machines. 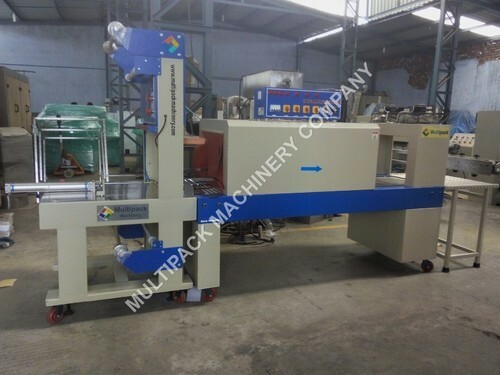 The offered machines are immensely popular amongst our clients for featuring variegated attributes like durability and high efficiency. Our offered machines manufactured in our well-equipped manufacturing unit using guaranteed components. 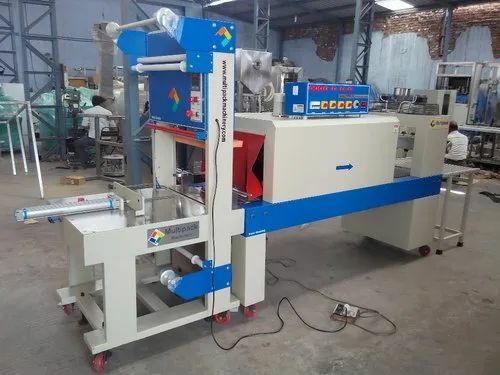 Bundle Shrink Wrapping Packaging Machine Judicial blend of men & machinery has enabled us in meeting the requirements of our clients by manufacturing and offering a large range of Shrink Wrapping Automatic Machine . These machines are engineered at our state of art machining facility using optimum grade materials and sophisticated technology. Multipack make Standard shrink wrapping machinery installations are our bread and butter and our reputation for these systems is well respected within the industry. The speciality of the company however, is in applying the latest technology and innovations to unusual and sometimes difficult packaging problems that arise due to the changing nature of today’s consumer market. MS / SS construction available. Auto Collating available upto 10ppm. SS Wire Mesh Conveyor Belt for good quality shrinking. Packing Speed Up to 2 or 3 Pacs/Min. Packs Per Minute Up to 2 or 3 Pacs / Min. 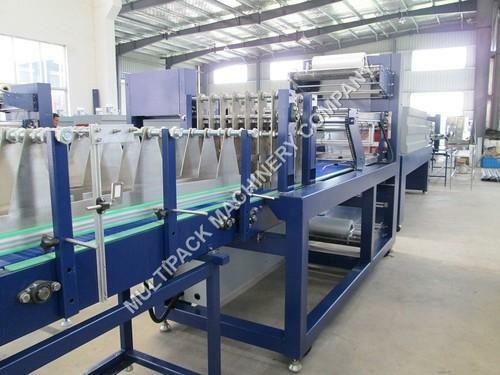 Looking for “Shrink Wrapping Machine”?